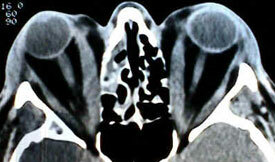 Graves' disease is an autoimmune disease. It most commonly affects the thyroid, causing it to grow to twice its size or more (goiter), be overactive, with related hyperthyroid symptoms such as increased heartbeat, muscle weakness, disturbed sleep, and irritability. It can also affect the eyes, causing bulging eyes (exophthalmos). It affects other systems of the body, including the skin and reproductive organs. It affects up to 2% of the female population, often appears after childbirth, and has a female:male incidence of 5:1 to 10:1. It has a strong hereditary component; when one identical twin has Graves' disease, the other twin will have it 25% of the time. The thyroid is one of the largest endocrine glands in the body. This gland is found in the neck inferior to (below) the thyroid cartilage (sometimes referred to as the Adam's apple in men) and at approximately the same level as the cricoid cartilage. The thyroid controls how quickly the body burns energy, makes proteins, and how sensitive the body should be to other hormones. 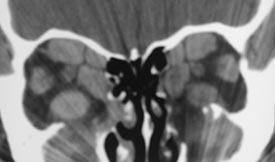 small, butterfly-shaped gland below the Adam's apple. if the gland makes to little, we call this Hypothyroidism. affects about 2% of all women in the United States. When Graves' disease affects the eyes, it is called Graves' ophthalmopathy. Eyes could bulge or appear red and swollen. 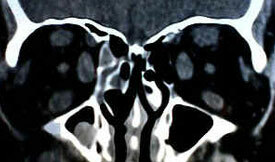 The space between the lids (palpebral fissure) could widen. 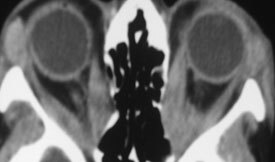 Excess tearing and discomfort could occur in either or both eyes (see below). Patients could experience sensitivity to light, blurring or double vision, inflammation, or decreased movement.